The lines and planes of Mythic Fire just worked out so well. As did the thickness of the glass which I deliberately varied. The result? 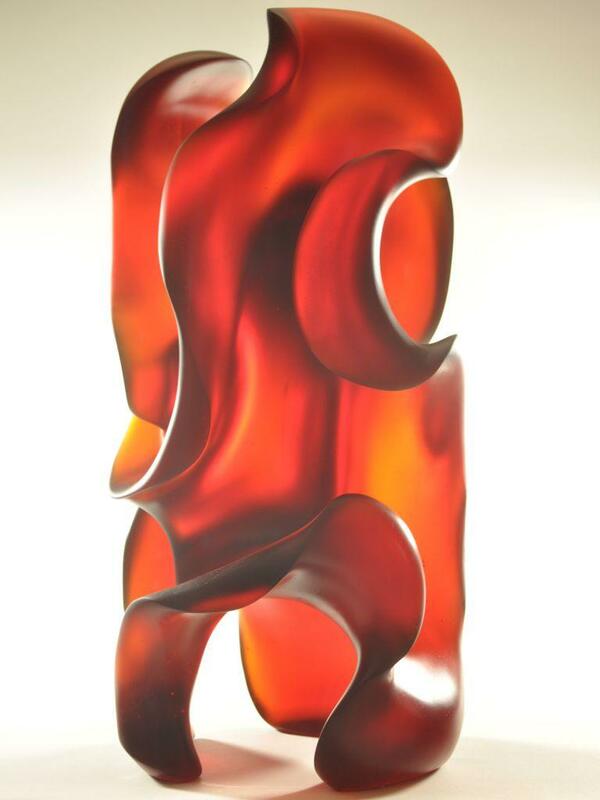 A color-deep glass sculpture. For the foundry, contending with that much weight and fluid pressure at over 1500° was a major technical challenge. The outcome gets high marks. 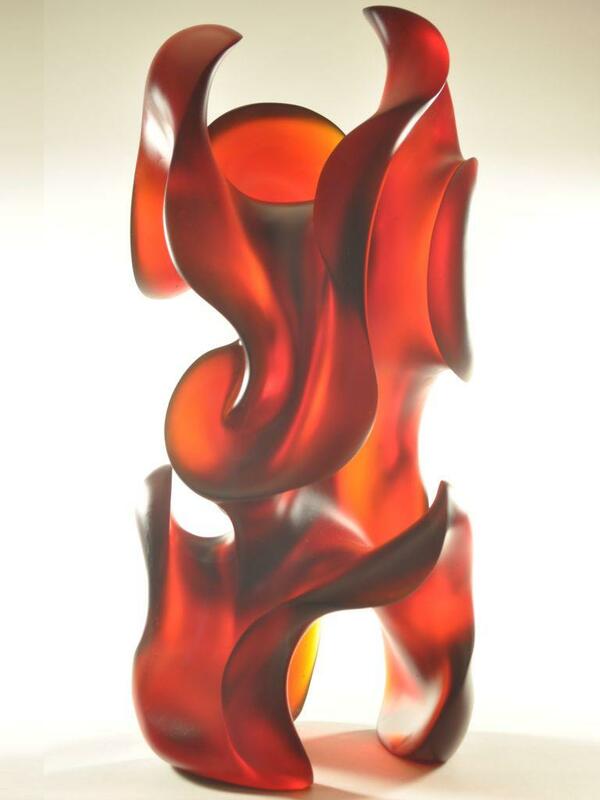 When Holsten Galleries first invited me to join their contemporary glass sculpture gallery on the web, Mythic Fire was the first piece they represented. They sold it within three weeks of introducing the work to a first-time glass collector in Montréal, Canada.